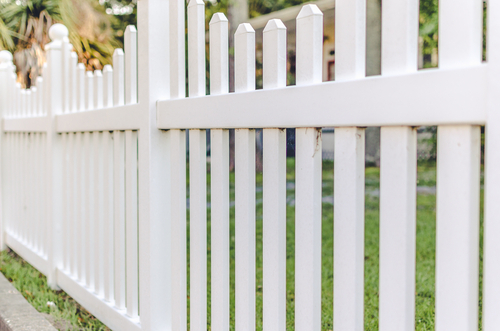 When it comes time to install a new fence for your yard for any reason—keeping the dog from running away, privacy, decoration, etc.—you have to be purposeful. Ask yourself why you’re building the fence and the design, materials, and all the other decisions will become much easier. A privacy fence, for example will have to be tall enough to keep peeping eyes out of your property, which means you’ll need a sturdier design than the typical white picket fence for decoration. Here’s a free tip: all fence posts, if they’re made of wood, will rot at some point. It doesn’t matter how much you stain the surface of the wood or which type of wood you choose. 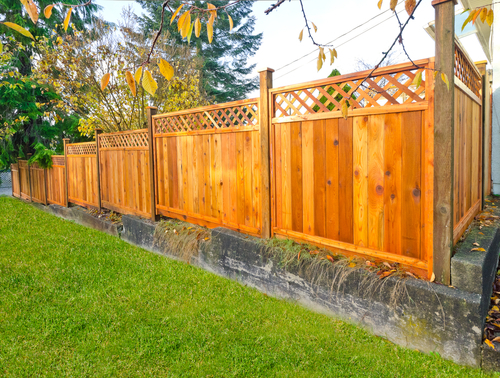 Cedar fences, for example can be made of several different types of cedar, and not all cedars are created equal. Western red cedar is considered the best of the bunch, and all cedar trees produce a natural acid that helps keep insects and decay away, but if left un-repaired indefinitely, eventually you’ll see some rot. One solution to this is to use galvanized metal fence posts, which can withstand gale force winds and never rust or rot. Vinyl fences don’t only come in one color. 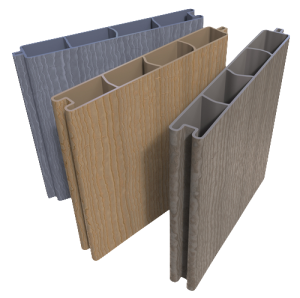 The white vinyl fences you may have seen are not the only option with this material. Vinyl fences can match any decoration and landscaping theme. If you can find vinyl fencing that is specifically designed to handle a Colorado climate, that’s the best option. Vinyl fences require little maintenance if installed correctly and can last for years. Did you know that you don’t have to commit to the same type of fence all the way around your home and/or yard? Connecting your beautiful white picket fence in the front with a simple chain link fence in the back enables you to do multiple things with your fence: add decoration and provide security, while saving you the trouble of painting the entire perimeter. You don’t have to add all the features of your fence to the perimeter at the same time you install the fence. You can add decorative posts, entrances, and finials after you have the fence in the ground. Customize it further by planting some flowers or other plants at the base of the fence. Homeowner Associations can derail landscaping and fencing plans if they’re not considered before the project starts. Sit in on HOA meetings with your contractor if possible, to give the folks in these associations to meet the contractors and fully understand the project before going forward. A little extra communication can’t hurt before undertaking a new fencing project. Now that Spring has sprung, the time is now to get going on your next outdoor project. If you think that project has a fence in your future, consider these tips and the contractors at Altitude Fence and Deck. How Much Value Does a Fence Add to Your Home? There are many reasons to buy and install a fence for your Fort Collins home. A front yard fence can be its own decoration, adding a touch of order and elegance, especially the oft-idealized white picket fence. Fences can add a sense of privacy and convenience if you have children or pets, and if done right, they can add significant curbside appeal. The reasons for adding a fence vary from person to person. Most Fort Collins real estate experts would agree that adding an ‘upgrade’ such as a fence with a gate adds value to any property. The question is how much you can expect to improve your property’s value by adding a fence. Especially in Fort Collins, simply having a physical barrier between you and the many critters that call Northern Colorado home is never a bad thing. While squirrels, rats, mice, and worse can certainly get under, around, through, or over a fence, these animals will also more likely forage, nest, and meander in properties less encumbered by obstacles. It doesn’t require a scientific study to guess that properties with fences—possibly even decorative ones—are less likely to be infested with non-insect pests. Even low fences can help protect landscaping and property from the elements as well. They can keep blowing snow at bay, impede invading plant life, and serve as windbreaks. Moving from an apartment to a house when you have dogs and/or babies on board is a dream come true. No more walking your dog around constantly with a thousand plastic bags in your pocket. No more confining your kids to four walls at every moment. 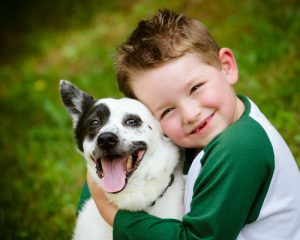 Dogs can do their business in the yard, and children can come and go outdoors as they please…all because of a fence. Privacy means different things to different people. Some don’t want random strangers wandering through their yard. Some don’t want anyone to peer into their backyard, while others simply want a clear boundary between their property and their neighbor’s. You can put in a fence that will give you the level of privacy you desire. Fences, no matter the type, add privacy for houses in the country or the city, and with every type of front and back yard. Defining a space is a form of privacy—it lets visitors know when they’ve crossed into someone else’s domain. Fences clearly define your property, so there’s no ambiguity. Fences allow you to better plan your space, too, after you’ve defined it. With clear demarcation of what you have to work with, you can plan landscaping projects—another value addition—more efficiently. 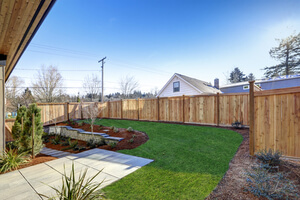 In short, the exact value fences add depend on location and the needs of the buyer. People moving with kids and pets might pay more for the luxury of a fence, for instance. Aesthetic issues—such as whether the fence stands up straight, matches the property, is ornate—matter, too. 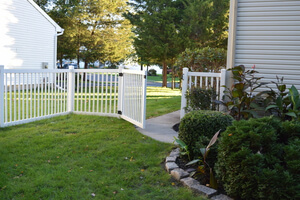 But, there’s no doubt that installing a fence adds convenience, security, and definition to any property, all of which are extremely valuable.